I am a fan of German watches and I won’t deny it. Apparently, many people are asking me why I always choose to praise the German watchmaking, in general, over than the Swiss’s. Well, the only answer I could give to them is that these watches are timeless. In the watch industry today, innovative and more-advanced watches are becoming really popular. I am not against this but I find German watches more unique and appealing because almost all of their pieces are out of today’s trend which makes them really timeless pieces. In fact, these watches have stormed out the industry due to their overall vintage and minimalistic appearances. Also, another thing that really impresses me is that these watches continue to rise over the years considering all the aftermath of the world war. Well, I am no expert when it comes to watchmaking but I do have pretty reliable experiences with these wrist watches. Accordingly, this guide may essentially help you, especially if you are looking for the best German watches of today. In this guide, I have included the 7 German watches that, personally, I take as the greatest ones for entry-level users in the industry. Along with the brands, I have included as well the technical features and specifications that may help you understand the overall value and efficiency of a certain watch. If you are just looking out and you have no interest in buying, I suggest that you prepare yourself because these watches will really entice you! 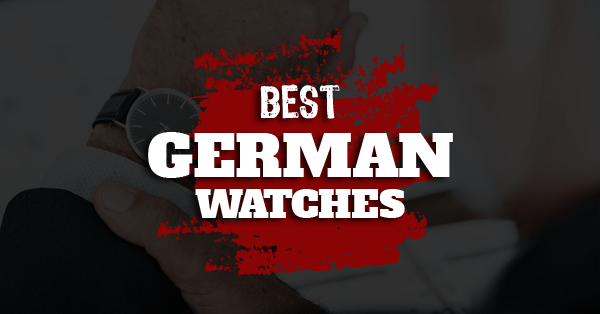 As for others who are finding the most affordable and highest quality German watches of today, this guide may help you in making your buying decisions. If you are looking for a watch that is lightweight and rugged, the German Military Titanium Watch might be the one for you. The weight of this watch is rated at 57 grams or 2 ounces which is quite light in comparison to most timepieces of today. 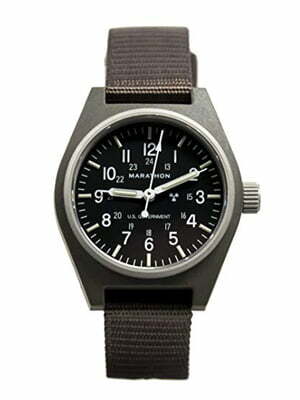 Apparently, this watch is largely designed for marine and pilots. Hence, all the materials and features that you will get to experience in this watch are quite durable and fitting for outdoor uses respectively. The main material used in the construction of this watch is a Grade 2 Titanium. This material is actually for Industrial Marine and Aviation use. As for the case, the German Military Titanium Watch uses Sandblasted Titanium to avoid light reflection. And this is very useful, especially if you are in hostile areas. In relation to avoiding light reflection, the dial window uses a Sapphire Crystal that comes with a non-reflective coating. And this feature is apparently required for all German marines, soldiers, and aviators. In terms of the watch movement, this watch features a Swiss Quartz movement. And this is a pretty decent type considering the price of the package. Also, it features a day date function that is located just right beside the 3 o’clock marker. The German Military Titanium Automatic Watch might be one of the best German watches for you, especially if you are looking for a more precise watch movement. Apparently, this watch is very similar to the German Military Titanium Watch. But, the features and functionalities of this model are much improved. Hence, this model is much more expensive than the previous model. For instance, the watch movement of this model used 24 jewels in its bearing. Unlike its predecessor that uses a Swiss Quartz type, this model provides much precision when it comes to indicating the time and date. Also, this model features a power reserve function. Since this is an automatic type of watch, its power does not largely rely on battery alone. Accordingly, the more you wear and use it, the more it will be reliable. 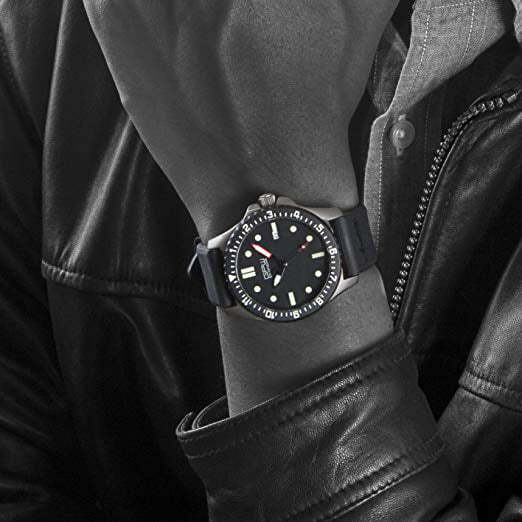 The band of this watch uses a black rubber material. And this is probably the biggest drawback of the product. Personally, I think it is much more appealing if the German watchmaker uses a black leather instead of rubber. 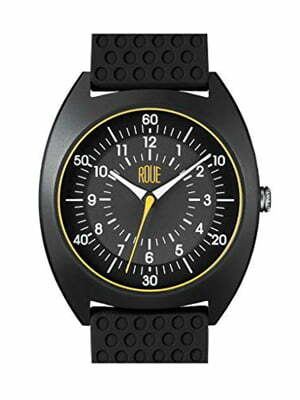 But it would be tricky since this model aims to be a great timepiece for extreme outdoor uses. So, in some way and somehow, the band is also fitting to its overall structure. The Roue HDS One Watch German Industrial Design Style might be one of the top watches for you if you are looking for a timepiece that can support your water sports and activities. By and large, this watch is not entirely the one that you can consider as a luxury watch. Aside from the fact that it has a very affordable price, the build and style of this watch are inclining much more towards the sports and rugged types. 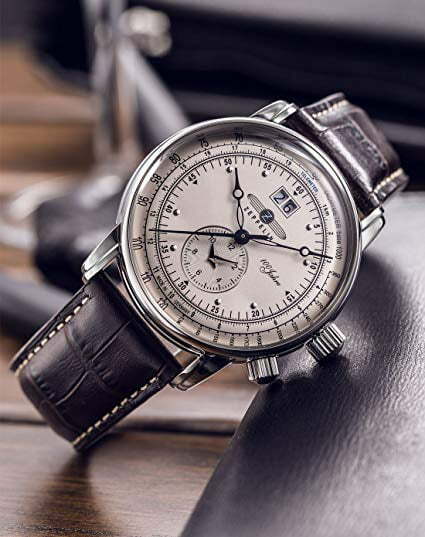 But while it appears to be a rugged type of German watch, it still features a touch of the chronograph style that is very common in the field of German watchmaking. As for the materials and strength, you could rely on its durability since it uses mainly a 316L grade of stainless steel. Also, the window of the dial features an authentic Sapphire Glass that comes with a non-reflectorized coating. You could also experience a great precision when it comes to the watch’s time and date indications. This is because it uses a Japanese Miyota Quartz that is quite reliable in the watch industry. 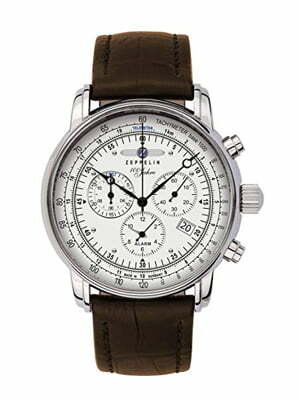 If you are looking for a timepiece made in Germany that is both classy and sleek and yet affordable, the Graf Zeppelin Chronograph and Alarm Watch might be the most suitable option for you. The overall appearance and style of this watch are pretty impressive. But I would take this watch as a much more fitting choice for men than women. And this is because it appears to be very manly. Nevertheless, it could still be one of the best luxury watches for women as long as they know how to project their style with this watch. The main material used in this watch is a good grade of stainless steel. However, the exact grade of the stainless steel is not freely given by the manufacturer. For some reason, I find this as a drawback since the specifications of the materials play a huge role in my buying decisions. And I suggest that these things should be on yours too! As for the material used in the window, it is a mineral glass. Apparently, this is a pretty decent type of glass. It is quite durable but not scratch-resistant. And I would love it more if it uses a Sapphire glass instead. 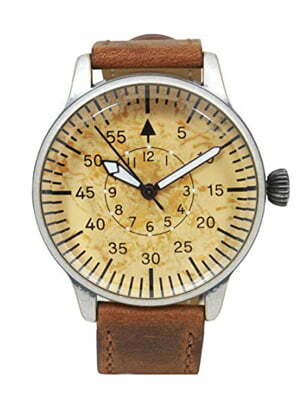 If you are looking for budget friendly watches for everyday usage, the Mil-Tec Luftwaffe ME 109 Pilot Vintage Quartz Watch quite fits the description. One of the things I like about this watch is the overall appearance. In fact, many watch lovers and enthusiast are really looking forward to buying this watch. Even if it is not the luxury type, it appears to be a very appropriate addition to any vintage watch collection. There is nothing much about this watch except for its incredible vintage appearance. The only function that it can provide is to simply tell you the time. Other than that, there are no other functionalities included. The material used in its window dial is a heavy bifocal glass. This material actually provides convenience and reliability to the users because it enables you to see the time easily and quickly. As for the price, you can purchase this deal below $100. Although it is very affordable, I am really pissed how the price went up these days. This is because I had one of these models which I only got for less than $50. And that is already the max bill! But even so, it only goes to show that this is a very in-demand German watch. I included the Marathon WW194003 General Purpose Mechanical Military Field Watch due to its overall functionality and being one of the best military grade watches. The materials used in its construction are all durable. But while it does not use a stainless steel, it uses a high-impact Fibreshell which apparently improves the durability and decreases the weight of the watch. In fact, it is proven to last for years. The watch movement is a much more innovative type of 24 Jewels system. And this is a pretty reliable system that can provide accurate time and date indications. 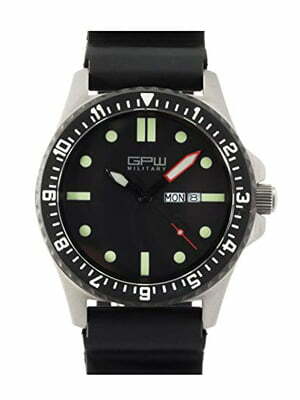 Also, this watch features a tritium tube that largely provides the efficient illumination in the dial, similar to other watches with tritium gas tubes. The Graf Zeppelin Dual Time Big Date Watch might be one of the better big date watches for you, especially if you are looking for a Zeppelin watch that is affordable and a top watch brand. If you look at all the Zeppelin watches, you will see that there are no huge differences among them all. The usual differences among these range of watches lie in the details of the features. For instance, the Graf Zeppelin 7680 is largely designed for men. As for this model, it is designed for both women and men. In addition, the 7680 features an effective alarm feature. As for the 7640-1, it highly emphasizes its dual time and date functions. Accordingly, it is quite safe to say that the 7640-1 is perfect for travelers. As for the price, this model is much cheaper than the 7680 and other models of Zeppelin watches. Somehow find this statement and belief true. But, if you are to consider the factors that would affect the overall quality of the watch and your buying decisions, the watches made in Germany will largely depend on your personal preferences and situations. Expensive doesn’t necessarily mean the best. Others, however, find the value of the watch as their main point of standard when choosing for the best. This is why many luxury watches today are seen as the best ones. But, I beg to disagree. By and large, German watch companies produce some of the most expensive watches of today. Although I have my personal biases when it comes to german watch brands, this does not mean that all of them are good. And just like any product from any industry, there are factors that must be considered first before making a purchase. These factors can dramatically increase your chance of finding the most appropriate products for you. So, if you are looking for the most suitable type for you, I suggest that you regard these things seriously. And in regarding these matters at hand, you will surely omit the chances of obtaining the wrong fit. Also, it could help you save costs in the long run! When you are looking for a great watch that was manufactured in Germany, the first factor that you need to consider is the brand. Apparently, there are quite a lot of German watchmaker brands in the recent times. And just by simply knowing these brands, you could easily make a decision. Although it is already established that these watches are really expensive and may require fortune, there are still those German brands that offer affordable prices without sacrificing the quality and functionality of the watch. Accordingly, brands like Lange Söhne, Nomos Glashütte Original, and Junghans Meister may require you to visit their actual stores if you are planning to buy watches from these brands. And this is all because these watches are the embodiment of German luxury watches. For instance, you cannot actually buy a limited edition of Glashütte Original watch in the online market because that is too risky considering the price that plays between $3000 and $40,000. But even so, considering the brands will help you determine your choices, budget, and preferences. Your budget is one of the most important factors that you need to regard when you plan to buy a great German watch. As I have mentioned, these watches are not your everyday-type of accessory. And there is a reason why they are, at times, called dress watches. Apparently, these watches are not very cheap, just like Garmin triathlon watches. 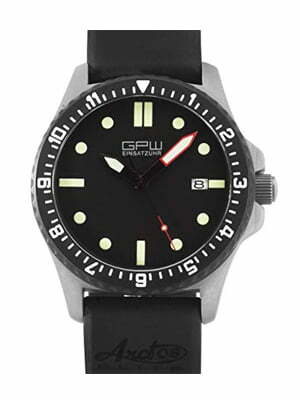 In fact, the average price of these watches that you could consider as inexpensive and affordable is rated below $500. 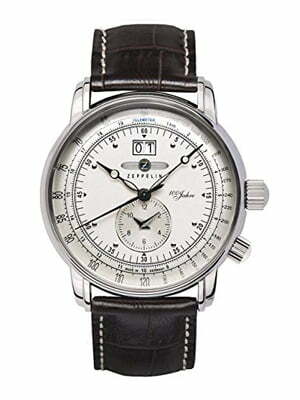 And it is very seldom that you would find a legitimate German watch that has a price below $100. Hence, it is only fitting that you consider these things. Just by simply setting a budget, you could already predict the timepiece will fit your needs and wants. But even so, you will really need to shell out a few hundred bucks. This is also the reason why I take these watches as investments. And as an investment, it is only fitting that you take these things seriously. The durability of a German watch is tried and tested. But even so, it would still depend on the materials used in each structure and function. Each German watchmaker has their own specialization. Accordingly, each of them has a distinct a material that they largely utilize in their watches. So, even if these watches are known to be very durable, the durability performance and capacity still vary. Normally, These utilize different types of Stainless Steel. However, make sure that the stainless-steel is a 316L grade or above. This is because these steel grades would mean that the material is corrosion-resistant. For reference purposes, Rolex only uses a 904L grade of steel. It is similar to a 316L, but unlike it, the 904L is also luster and acid-resistant. And this is one of the many reasons why Rolex is really a quality, durable, and expensive brand. Even so, you have to consider the type of materials used in the timepiece that you prefer. Anything below the 316L grade of steel would be risky and less durable. In addition, you must consider as well the type of glass that is used in the dial window. The type of glass will determine if the watch is scratch-resistant or shock-proofed. Most budget-friendly German-made watches for men and women feature variations of Sapphire crystal. Usually, this is already a pretty decent type of glass. Now, all of the These watches here in this list are all great in terms of functionality, features, and appearance. But, among all these watches, there is only one that really caught my eye. And I take the German Military Titanium Automatic Watch as one of today’s most excellent German timepieces. Primarily, it uses 24 Jewels for its watch movement. And this is quite a significant figure for a watch. Accordingly, this is the reason why this watch can provide accuracy and precision. Secondly, it features a power reserve function. Remember, it is an automatic watch. So, the more you wear it, the more it will be reliable. I know it is not the most luxurious type of watch. But, it is still a German-made product. And personally, this is already the best German watch for me that is very affordable and yet very functional.